AFSPA provides complete immunity to armed forces from citizens seeking to approach the court of law against complaints of atrocities. Arya joined Indian Army in 1993 and served with Kumaon Regiment. 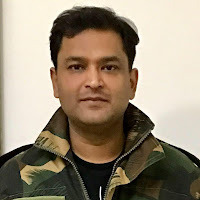 From 1994 to 1999, was posted in Rajasthan, Punjab, Tibet border, and J&K, and operated along the Line of Control and was also involved in anti-terror operations. 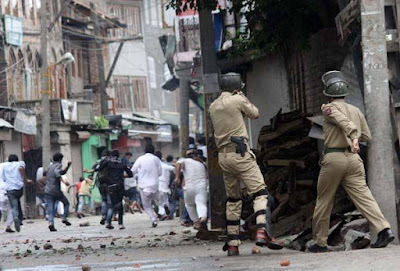 Wanting to make Hurriyat irrelevant, as it is does not take part in electoral process, Arya wants Kashmir’s stone pelters to be sent to prison for a year, “but never within the state”. Calling all these “elementary” points, according to Arya, “Human rights are important, but they are not the reason that the sun rises in the East and sets in the West. Let’s not make these rights the cornerstone of our national philosophy." Gaurav Arya is absolutely spot on. Maybe first lock up these Hurriyat monsters who provoke and pay these anti-national rabbits (stone pelters). Lodge these Hurriyat for a year outside Kashmir and Delhi jails and just see how this nonsence stops...Our Indian army is more capable than we think...JUST FOR A CHANGE GIVE THEM A FREE HAND...This will automatically come to an end.